Allergy symptoms affect millions every year. 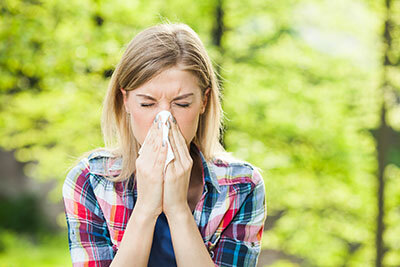 Allergies often occur when the body is subjected to a common allergen (pollen, dust, mold, pet dander, etc). During an allergic reaction the body is hypersensitive to the common allergen and over-produces antibodies. The over-production of antibodies causes symptoms in the eyes, ears, nose, throat, sinuses, lungs and the lining of the stomach. Normal immune function and antibody production is controlled and coordinated by proper Brain-Body Communication. Proper Brain-Body Communication can be compromised by a misalignment in the upper neck. When this communication is compromised the body’s natural feedback mechanisms are affected, thus causing the hypersensitivity that causes Allergies. Upper cervical care restores Brain-Body Communication with gentle corrections to the upper neck. Proper Brain-Body Communication allows the body’s feedback mechanisms to normalize and therefore regulate its response to allergens, thus minimizing allergy symptoms.